So, I’ve decided to try something to help my short term goal: Getting in shape for my vacation to Las Vegas. It’s easier said than done to hit the gym and eat better. Especially, when you’re constantly losing the motivation to do it. We’d work out for a day, then end up at home the rest of the week. But, we still want to get into better shape for our trip. So, I decided to make a vision board. I had got the idea from scrolling along Facebook where I saw something similar. Next thing I know, I was at Target purchasing a cork board and some thumbtacks (little pink heart ones, of course). I went through the summer issues of my old Cosmo magazines (because who doesn’t have a stack of old Cosmos in their house?) and cut out pictures of people in pools or swimsuits. The one thing I want is to look great in the pool (where I plan on being the majority of my vacation). Now, I’m a very body positive person and believe that you are not valued by how much you weigh. I try to live my life in a body positive way by not shaming my own body. I know that no matter how much I weigh, I’m going to have a wonderful vacation. With that in mind, I try to keep a positive attitude about my body when working out. Even though my goal is to lose weight, I try to remember that my body looks great the way it is. Luckily, with a positive attitude about my own body (can’t stress enough how important this is), I can admire different body types and aspire to look more like them for my vacation. I wasn’t sure if this would work for me, but with that board hanging up in our living room, I have seen myself become more motivated. Especially at the gym. I just notice myself work a little harder because I made a goal and can see the end result of that goal everyday. 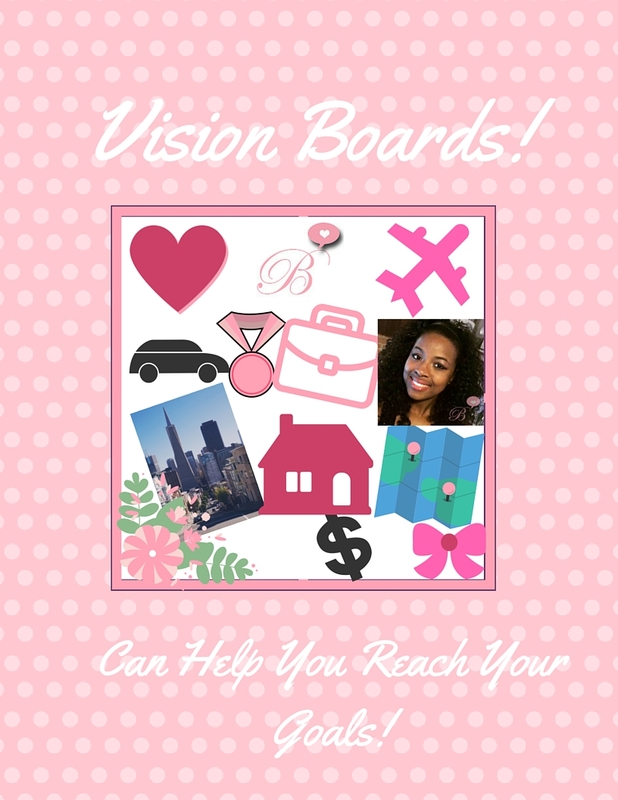 I think vision boards can work for many different goals. Business goals, career goals, love goals, etc. Just think of something you really want in your live and envision it. Next, find some images and words that help you remember this goal and see it. Then, put it on a board! I think that after our vacation, my next goal for the vision board will be to start my own business. If I can see it, I can achieve it!